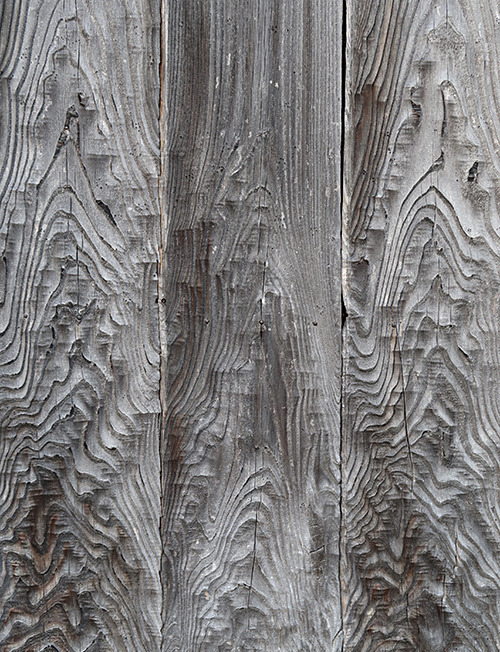 These are Surface of burned Japanese cedar using for outside wall. 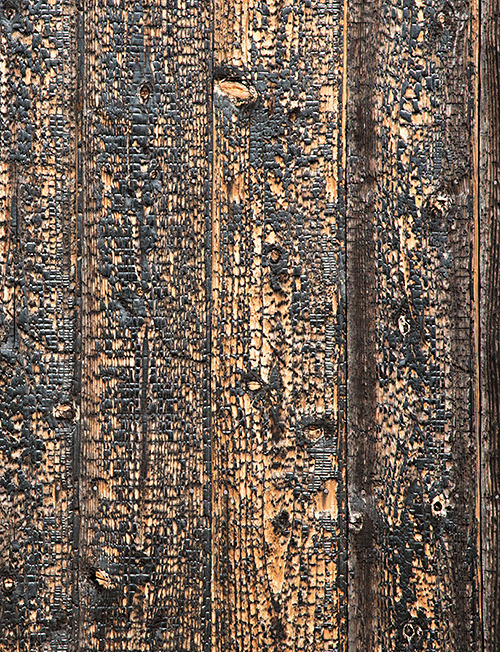 The first photo is a decorative wood panel that buffed the top of burned part. 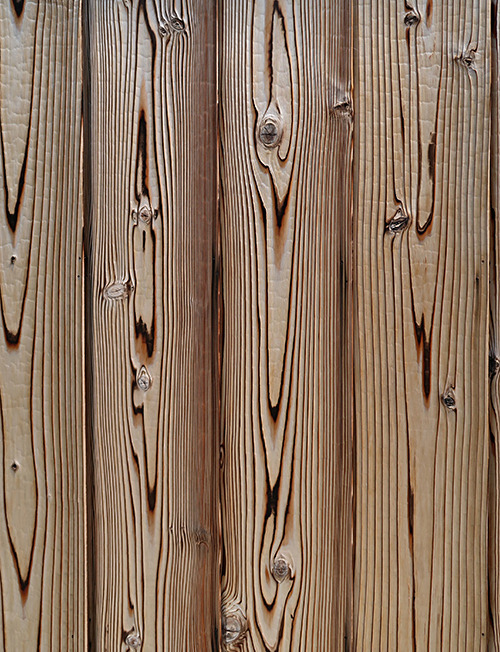 The next one has a soft look of naturally weathered Yaki-sugi. There are various type of looks.